Pay Off Your Outstanding Property Taxes in Brownsville in As Little As 3 Days! Can Direct Tax Loan help pay off my property taxes in Brownsville, TX? Not currently in the bankruptcy process. Do you meet these requirements? If so, Direct Tax Loan can help you solve your property tax debt. We can give you a free estimate through a simple phone call with one of our customer service agents who will be eager to help you. There is no application fee and no down payment. There may be some closing costs such as filing fees and a title review. However, those fees are included in the overall loan amount. Give us a call and we can walk you through the process. This will likely be the easiest and quickest loan application process you will ever experience. How fast can I get my property tax loan in Brownsville, TX? In 5-10 business days! Yep, you read that right. Often we can get you processed within a week. Of course, there are occasional unexpected delays, but when that happens we make sure that you understand what’s happening. We don’t like making you wait and we go the extra mile to make sure that this happens as little as possible. Our agents are experienced and are skilled at anticipating problems before they happen. Come chat with our agents to find out how they can help you. Don’t make the mistake of getting paralyzed and doing nothing about what you owe in taxes. It’s a common thing to do, but it is a choice that you will eventually regret. There are enormous fees added to a property tax debt for failure to pay in a timely manner. Did you know that anywhere from 27% to 42% the first year? This includes penalties, interest and attorney fees. And it gets worse. The fees can increase 1% a month after the first year. It doesn’t take long to figure out that lack of action is your worst possible choice. We can help you avoid compounding your penalties by getting you on your way to a Direct Tax Loan. Most people don’t have the tax law knowledge needed to make the most educated choices when in property tax debt. Our customer service agents are available to help you decide the best course for your individual situation. Did you know that deferments are possible in some situations? For example, if you are disabled a deferment may be possible. During this time 8% interest rates can be incurred. However, no penalties will be applied and foreclosure won’t happen during the deferment. Let us help you find the best way back to being debt free. Call us today for a free consultation about possible deferments. Maybe you don’t understand how this process works and you need us to break it down for you. Basically, we work with your tax unit to pay off your debt. While you are working on repaying us, we will have your lien. While we do have the right to foreclose on your property if you default, we do everything possible to avoid that situation. Once you have repaid your loan, we will rejoice with you as we release your lien. Have more questions? Call us and we’ll help you understand how it works. There are many advantages to getting a tax loan. With our services, we’ll help you determine if a loan is indeed the best route for you. If there doesn’t seem to be another solution, we can get you approved for a loan in 5-10 business days. Do you have poor credit? Unlike most other loans, we don’t even do a credit check. If you’ve had recent financial difficulties, no problem. We’ll still work with you and help you solve your property tax debt problem. We understand that many of you won’t be able to come up with down payments, so we’ve eliminated that worry. With all of these advantages, we’re going to help you avoid further penalties and sinking further into debt. Isn’t it time to have a consultation? When you’re in a difficult situation like being behind on your taxes, it’s easy to feel very alone and as if you are the only person experiencing this problem. Our staff is trained to help you feel as comfortable as possible through what can be an anxiety inducing situation. At Direct Tax Loans, we’ll do everything we can to make this process as pleasant as possible. Of course, we take your confidentiality very seriously and we guarantee that it will be respected at all times. What are you waiting for? At Direct Tax Loans, we aim to give you exceptional personalized service. Other loan companies treat you like a number, but we’ll give you the respect that you deserve and treat you like a human being. We know that everyone’s situation is different and there isn’t a universal answer to tax debt problems. We’ll expertly help you decide which solution is best for you and then guide you every step of the way. At our company, people matter and you will be treated with dignity. What could be better than customized solutions? You need a tax loan but you may be thinking to yourself, “there’s no way anyone will give me a loan with my credit history.” Maybe you’ve given up before you’ve even begun. Well, we’re here to tell you that your credit history won’t hold you back from getting a loan from us. 98% percent of our applicants are approved for loans. You may be surprised to learn that we don’t even run a credit check! So, breathe a sigh of relief and trust that answers to your property tax debt are just around the corner. It happens all the time. People don’t think through the legalities of a property title and then suddenly when you need a loan there’s a hitch in the plan. Is your title not in the right name? Has paperwork been misplaced? We know that life happens and we can help you get through these aggravating problems. Our kind and helpful agents will listen to your problem and then outline your options with you. You probably won’t believe us when we tell you that we don’t require any money in advance to start processing your loan. You may wonder how that’s possible. We take into consideration that you are already financially struggling, so we’ve designed a plan to eliminate the stress of having to pay fees in advance. We’ve worked it out so that all of our fees are included in the overall loan. When the loan is paid off, all of your fees are handled. We’re thinking this is the answer you’ve been waiting for to solve your problem. We can get this done, most of the time, in 5-10 business days. That’s right, 5-10 business days! With other loan servicing companies the process can drag on endlessly but with us we’re all about efficiency combined with competency. There’s no credit check which helps us expedite the process. Getting a loan doesn’t have to be a long, arduous process. Our personable staff will be happy to consult with you so we can get you into a suitable loan arrangement quicker than you ever thought possible. 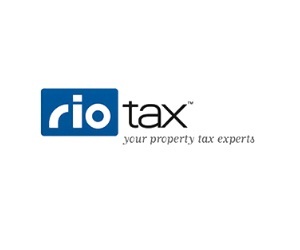 Having trouble paying the property taxes on your home or commercial property? Direct Tax Loan is the go-to provider of property tax loans in Brownsville, TX. We’ll help you avoid accumulating the higher cost of interest, fees, taxes, and penalties on your overdue property taxes. We understand that financial hardships can arise, and it’s easy to fall behind on property tax payments. Being the most reputable and trusted property tax lender in Texas, we’ll assist you to pay the tax bill and create a payment plan that best fits your budget. We offer more options and benefits through our quick and straightforward process. Why choose Direct Tax Loan? Easy approval and qualifying process. Let us help you to solve your property tax problems and give you the peace of mind you deserve. Give us a call today to learn more about loan eligibility. One of the most reliable property tax lenders in the Brownsville area, Direct Tax Loan is a great first stop if you need to pay off your back taxes quickly. They are experts in the field and will work directly with your tax office to get your taxes paid and end the cycle of late fees and penalties. There are many reasons to choose Direct Tax Loan. Some of their advantages include a no cash down policy, a low fixed interest rate and flexible payments customized to meet your financial situation. They do not require a credit check, which has to major advantages. First, a poor credit score won’t affect your loan. In addition, your credit will not be damaged by yet another credit check. Call today and find out how easy it can be to take the first step toward righting your financial situation!